Features new quick release adjusting buckle. The All New Kip Trainer features a new quick release adjusting buckle for easy on and off the bar and and quick adjustments. 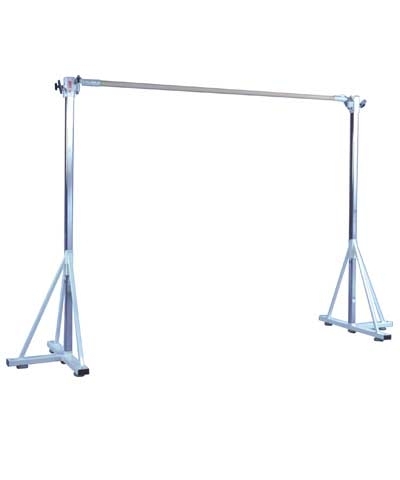 The kip trainer is designed to hang on the low bar of the uneven bars or low SBT. Allows for more repetition and helps develop shoulder and abdominal strength while developing the correct Kip technique. All webbing end connections double boxed stitched. Not for home use. ADDITIONAL CHARGES APPLY FOR AIR DELIVERY!! 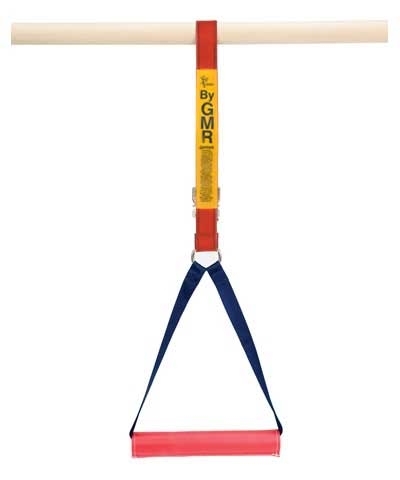 For UK customers, please click on the link Gymnastic Planet website to purchase this product.